An estimated 100 million people worldwide are homeless. 1.6 billion live in sub-standard housing. 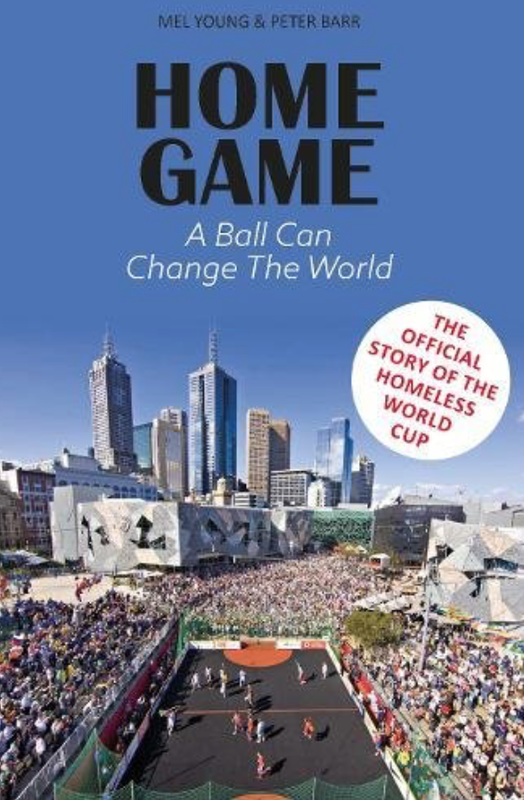 Home Game provides an insight into the birth of the Homeless World Cup and how it has become such a global phenomenon, by looking at more than just facts. It shows how the power of sport can help excluded people transform their own lives – and how the event has transformed attitudes to homelessness. Drawing on vast new data that reveal Americans’ changing behavior, Putnam shows how we have become increasingly disconnected from one another and how social structures—be they PTA, church or political parties—have disintegrated. Until the publication of this groundbreaking work, no one had so deftly diagnosed the harm that these broken bonds have wreaked on our physical and civic health, nor had anyone exalted their fundamental power in creating a society that is happy, healthy and safe. Random controlled trials, akin to clinical trials in medicine, are the best way to accurately isolate what would have occurred anyway (without the intervention/program being assessed). In random selection, similarly eligible people are randomly placed in either a new initiative or an old system. Analysts then compare the outcomes of people in the two groups that differed only in which program they participated in. Because participants were randomly selected from the same group and living through the same shifting economic and social conditions, the link between cause and effect is clear. 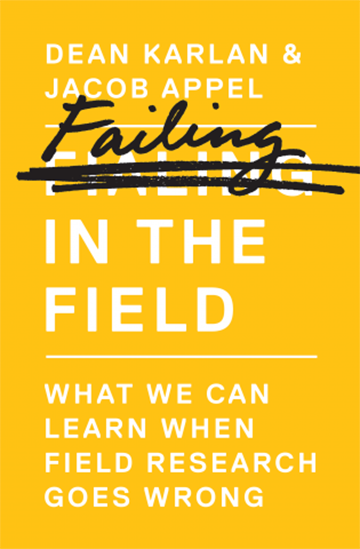 In their book, Failing In the Field, Dean Karlan and Jacob Appel give examples of random controlled trials being used for straightforward evaluations such as “What impact did Program X have on outcomes A and B;” or to test specific theories such as whether free distribution of bed nets is effective in fighting malaria; or operational issues such as how to price sanitation services. They also describe how using findings to make minor tweaks to programs can have drastically improved outcomes. The 2017 Women’s Marches, held Jan. 21, the first full day of President Trump’s tenure, drew more than 2.5 million people around the world. It was a festival of activism: People came dressed for the occasion in pink hats, and there was entertainment and speeches and a shared sense of community. 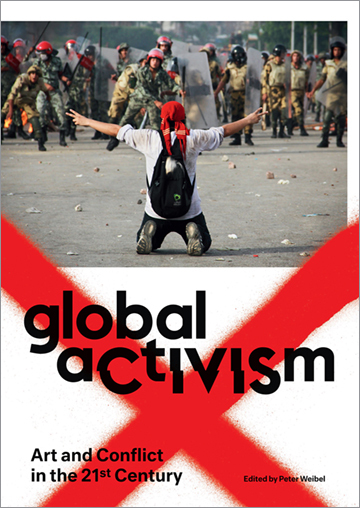 In global aCtIVISm (the capitalized letters form the Latin word “civis,” emphasizing the power of citizens), Peter Weibel suggests demonstrations and performances in public spaces that draw attention to grievances and demand the transformation of existing conditions is the first new art form of the 21st century. Through a series of guest essays and interviews with creators, curators, activists, marketers and place makers, Weibel provides case studies of the new performative democracy bubbling up all over, from Tahrir Square in Cairo to Taksim Square in Istanbul. These new activist movements often take the form of spontaneous, non-institutional, mass action using online media to spread their message. Mass demonstrations show the power of networked communication to fuel “performative democracy”—at the center of which stands the global citizen. The book grew out of an exhibition at ZKM Center for Art and Media, Karlsruhe, and is illustrated with images, illustrations and documents. Marketing has an image problem. Media-savvy Millennials and their younger Gen Z counterparts no longer trust advertising, and they demand increased social responsibility from their brands—while still insisting on cutting-edge products with on-trend design. As always, brands need to be cool—but now they need to be good, too. It’s a tall order, and with new technology empowering consumers to bypass advertisements altogether, it won’t be long before the old, advertising-based marketing model goes the way of the major label. If only there was a new model, one that allows companies to address environmental, civic and economic issues in a way that grows their brand and business, gives back to society and re-brands branding as a powerful force for good. 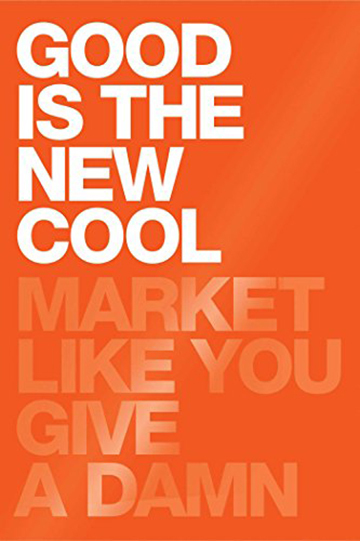 Enter Good is The New Cool, a bold new manifesto from marketing experts Afdhel Aziz and Bobby Jones. In provocative, whip-smart and streetwise style, they take aim at conventional marketing, posing the questions few have had the vision and courage to ask: If the system is broken, how can we fix it? Rather than sinking money into advertising, why not create a new model in which great marketing optimizes life? Aziz and Jones present seven revolutionary new principles—from “Treat People as Citizens, Not Consumers” to “Lead with the Cool”—and insights and interviews from a new generation of marketers and social entrepreneurs; leaders of such brands as Zappos, Citibank and The Honest Company; and culture creators working with artists like Lady Gaga, Pharrell and Justin Bieber. 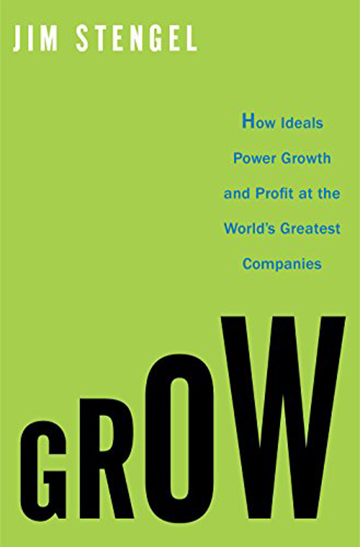 This rule-breaking book is the new business model for the 21st century, and a call to action for anyone committed to building a better tomorrow. This visionary book won’t just change your business—it will change the world. Written by the former CMO of Procter & Gamble, Jim Stengel unleashed corporate interest in purpose-based marketing. Great businesses naturally have many things in common: superbly designed products and services, knockout customer experiences, sustained excellence at execution, outstanding talent and teamwork, and great leadership. But there’s also something else, an “X factor” that keeps renewing and strengthening great businesses through good times and bad. Based on almost ten years of empirical research involving 50,000 companies, Stengel shows how the world’s 50 best businesses—as diverse as Apple, Red Bull, Pampers and Petrobras—have purpose embedded in their DNA. Moneyball for Government encourages government to use data, evidence and evaluation to drive policy and funding decisions. The book includes jointly-written chapters by former Budget Directors under President Obama and President George W. Bush, Peter Orszag and Jim Nussle; U.S. Senators Kelly Ayotte (R-NH) and Mark Warner (D-VA); former Obama and George W. Bush domestic policy advisors Melody Barnes and John Bridgeland; and former spokesmen for the Mitt Romney and Hillary Clinton presidential campaigns Kevin Madden and Howard Wolfson. The book’s second edition, released in Jan. 2016, features a new bipartisan chapter jointly written by Michael Gerson, former Assistant to the President for Policy & Strategic Planning under President George W. Bush; and Raj Shah, former Administrator for the U.S. Agency for International Development under President Obama. The chapter, titled “Foreign Assistance and the Revolution of Rigor,” calls for data and evidence to drive U.S. foreign aid, and provides a roadmap for improving and sustaining foreign assistance programs. 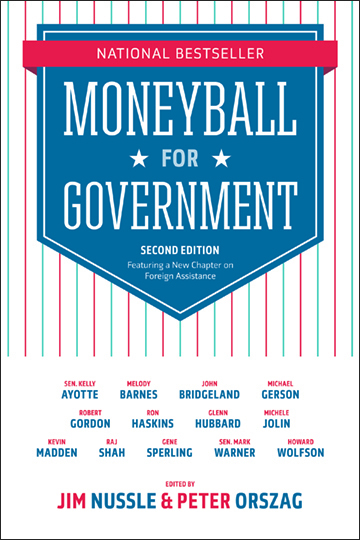 Moneyball for Government is about changing the way government works. By shifting public resources toward solutions that are informed by the best possible data, evidence and evaluation, our government can improve the lives of young people, their families and communities. By bringing together leading thinkers from across the political spectrum and highlighting the good work underway across the country, this book makes the case that it’s possible. 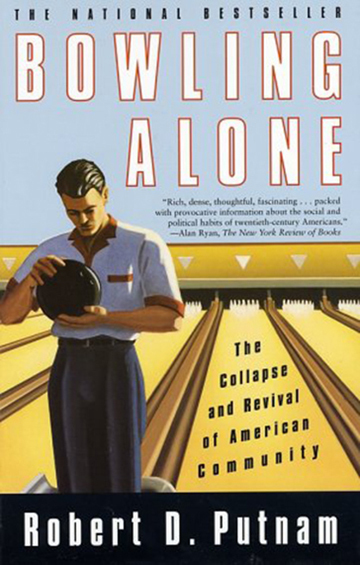 Acclaimed Harvard socialist Robert Putnam returns to the themes introduced in his classic Bowling Alone in this “passionate, urgent” (the New Yorker) examination of the growing inequality gap that has divided America during the past twenty years. Central to the very idea of America is the principle that we are a nation of opportunity. But over the last quarter century we have seen a disturbing “opportunity gap” emerge. Americans have always believed that those who have talent and try hard will succeed, but this central tenet of the American Dream seems no longer true, or certainly much less true than it was. In Our Kids, Putnam offers a personal and authoritative look at this new American crisis, beginning with the example of his high school class of 1959 in Port Clinton, Ohio. The vast majority of those students went on to lives better than those of their parents. But their children and grandchildren have faced diminishing prospects. 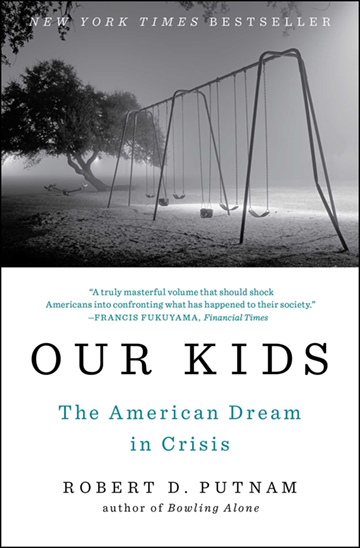 Putnam tells the tale of lessening opportunity through life stories of rich, middle class and poor kids from cities and suburbs across the country, blended with the latest social-science research. Our Kids offers a rare combination of individual testimony and rigorous evidence. 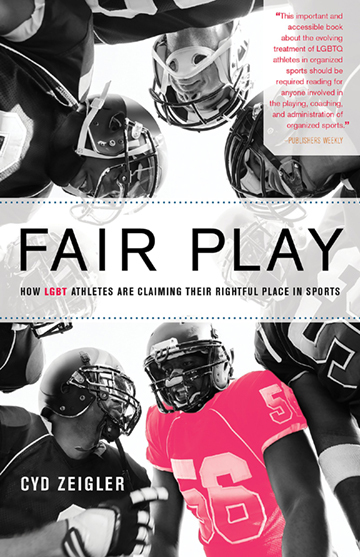 “No one can finish this book and feel complacent about equal opportunity” (The New York Times Book Review). As the role of sport in society becomes ever more prominent and as sports organizations become increasingly influential members of the global community, it has become more important than ever for sport to consider its wider social responsibilities. 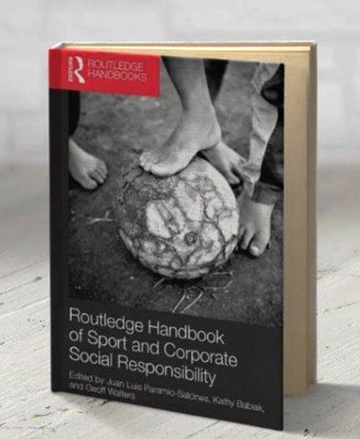 The Routledge Handbook provides a survey of theories and concepts of CSR as applied to sport, and the social, ethical and environmental aspects of sport business and management. It examines the unique features of the sport industry in relation to CSR; explores the tools, models, common pitfalls and examples of best practice on which managers can draw; and discusses how CSR and corporate citizenship can be integrated into the sport management curriculum. Defining corporate social responsibility (CSR) as the “obligations of the businessman to pursue those policies, to make those decisions, or to follow those lines of actions which are desirable in terms of the objectives and values of our society,” Bowen expresses a fundamental morality in the way a company behaves toward society. It follows ethical behavior toward stakeholders and recognizes the spirit of the legal and regulatory environment. The idea of CSR gained momentum in the late 1950s and 1960s with the expansion of large conglomerates and became a popular subject in the 1980s with R. Edward Freeman’s Strategic Management: A Stakeholder Approach and the many key works of Archie B. Carroll, Peter F. Drucker, and others. In the wake of the financial crisis of 2008-2010, CSR again became a focus for evaluating corporate behavior. 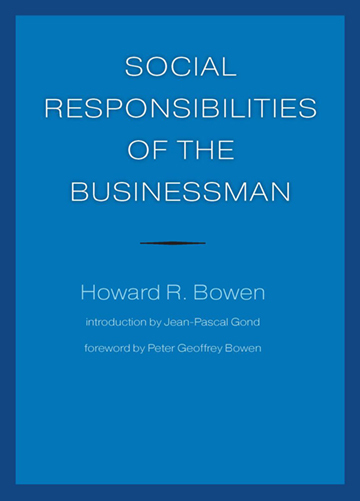 A new edition of the book was published in 2013 with an introduction by Jean-Pascal Gond, Professor of Corporate Social Responsibility at Cass Business School, City University of London; and a foreword by Peter Geoffrey Bowen, Daniels College of Business, University of Denver, who is Howard R. Bowen’s eldest son. The Humane Economy is why Sea World is phasing out the orcas shows, and why Ringling Bros. stopped touring with elephants and folded after losing its primary attraction. 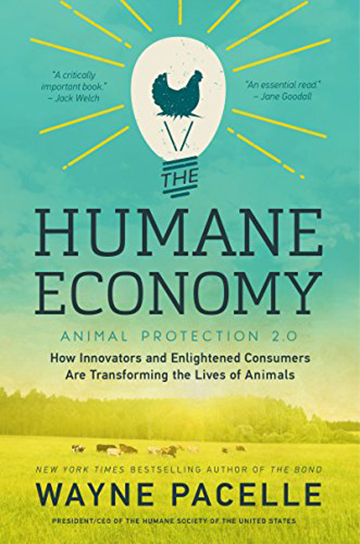 Wayne Pacelle, head of the Humane Society of the United States, demonstrates how conscience and creativity are driving a revolution in American business that is forever changing how we treat animals and create wealth. Every business grounded on animal exploitation, Pacelle argues, is ripe for disruption. His book looks at how the shift is impacting food and agriculture; the pharmaceutical, chemical, and cosmetics industries; film, television, and live entertainment; tourism and wildlife management; the pet trade for dogs and cats and exotic wildlife; and fur and leather fashions. Pacelle also recounts how companies are joining in this economic transformation: from Petco and PetSmart, which have turned the conventional pet store model on its head by forswearing puppy mill suppliers in favor of shelter dogs; to John Paul Mitchell Systems, the Body Shop, and Lush, which use safe ingredients instead of animal tests for their cosmetics; to major food retailers like Whole Foods, Chipotle, and even Costco and Walmart, which are embracing animal welfare standards that are one by one unwinding the horrors of the factory farm. Yvon Chouinard, the founder and owner of Patagonia—named by Fortune in 2007 as the coolest company on the planet — has built a love brand by making itself well known for its ground-breaking environmental and social practices as for the quality of its products. 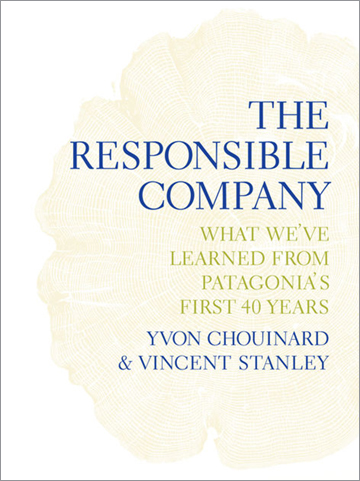 Chouinard and Stanley recount how the company and its culture gained the confidence, by step and misstep, to make its work progressively more responsible. The authors describe the current impact of manufacturing and commerce on the planet’s natural systems and human communities, and how that impact now forces business to change its ways. The Responsible Company advises companies to reduce their environmental footprint (and its skyrocketing cost), make legitimate products that last, reclaim deep knowledge of their business and supply chain to make the most of opportunities in the years to come, and earn trust by treating workers, customers and communities with respect. 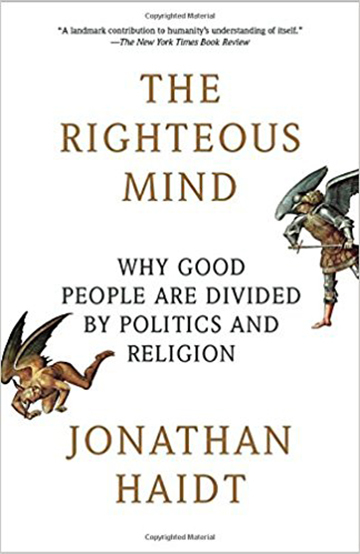 Social psychologist and ethicist Jonathan Haidt sets out to explain what drives the phenomenon he terms our moral intuition—the nearly instantaneous perceptions we all have about other people and the things they do. These intuitions, which arise not from reason but from gut feelings, feel like self-evident truths, making us righteously certain that those who see things differently from us are wrong. Blending his own research with findings from anthropologists, historians and other psychologists, he draws a map of the moral domain. He then examines the origins of morality, overturning the view that evolution made us fundamentally selfish creatures. But rather than arguing that we are innately altruistic, he makes a more subtle claim—that we are fundamentally groupish. Even though our DNA is 98 percent like that of a chimp, our moral mind is only 80 percent chimp-like, with a healthy 20 percent being more like a bee. This “hive switch” accounts for prosocial actions (“You will never see two chimps carrying a log”) such as putting the well-being of our group above our self. David and Jack Cahn—identical twins, competitive debaters and New York magazine’s “Twin Titans”—uncover their generation’s political identity in this optimistic portrait about what Millennials stand for and why. Traveling across the country, the Cahns talked with more than 10,000 young Americans who grew up through 9/11 and the Great Recession. 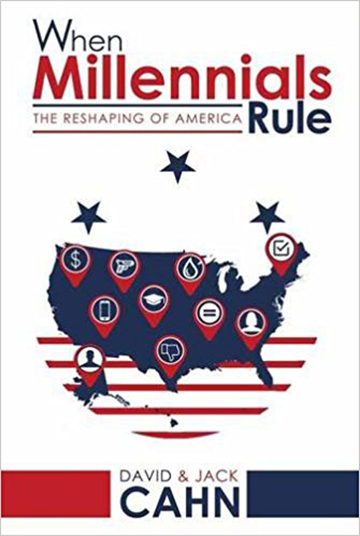 While Millennials are often stereotyped as selfish egotists and narcissistic, the Cahn brothers reveal a generation that will unify around common-sense solutions and restore the promise of a better future.